One of the critical communicative skills we never got much of or none at all is how to listen. Do you remember any teacher or parent sitting you down and telling you he/she was going instruct you on how to listen…really listen? I think not. Now hearing, on the other hand, is a given. Most of us got blessed with that ability shortly out of the womb. Now, like so many of us in our age band makes normal hearing a very distant luxury. In my case, Rock & Roll drums and 200 decimal AF jets on afterburner blasted my hearing during my young and dumb days. Still, we seasoned seniors have the wire and battery gadgets in the ears so don’t feel sorry for us. We all received reading and arithmetic along the way but never the proper way to handle a clear conversation between one or more parties. And depending on our value system and ego nourished into adulthood, we still stumble through life thinking we are doing right by thinking we can say more of a profound statement than our fellow talkers. If he would only shut up, so I can talk! What I am going to do this weekend; Do I have enough dog food for Fido this week; Does my friend really dye her hair??? Etc? This difference between speaking speed and brain speed means that when we listen to the average speaker, we’re using only 25 percent of our mental capacity. We still have 75 percent to do something else. That something else is a wandering mind. While you are filling in the blanks of your mind with trivial and every now and then saying “OK” or “Yes, of course,” you are merely hearing, not active listening. Active listening is the skill you never got. Active listening is the process of listening attentively while someone else speaks, paraphrasing and reflecting back what is said, and withholding judgment and advice. It’s a challenge to be a good listener. But good listeners get big rewards. You gain a lot of friends. But it’s hard work. Try a few if these techniques, the next time you team up with friend or relative who has something of his/her importance to tell you that you’re not sure you want to listen. These steps are simple; however, becoming skilled in active listening requires considerable practice and sensitivity towards another human being sitting across from you with the same needs you have. Did you notice the raise you received in your Social Security check this year? It came to 0.3 percent, in real dollars around $4, barely enough to pay for the cost of an extra Lipitor pill. Five years now, they’re over 60 million Americans who depend on Social Security have received nada or low increases in their cost of living adjustments (COLA) each calendar period. Not only that, older Americans have had to settle with rising costs shattering their household expense budget with most essential items: medical expenses, housing and food costs. Don’t tell me you haven’t felt it? Our government is not close to the needle of seniors who are on fixed incomes and find their needs changing with more medical services and prescription drugs become a critical part of their retirement life. And the price of just surviving–our intake of food—is hitting our senior Americans creating less in the stomach and less in the pocketbook. Is the cause of the stringy belt-tighting process of our yearly cost of living adjustment the output of government bureaucrats scheming in the catacombs of Washington D.C. Not exactly, the process of determining the COLA is meant to be fair. But it’s not. It’s set up incorrectly to not benefit the millions of senior citizens. “The annual COLA is simply not doing the job of protecting the buying power of older Americans, “ said Mary Johnson, a policy analyst for the Senior Citizens League (TSCL), a retirees’ advocacy group. COLA works this way. Social Security Administration adjusts yearly benefits upward for inflation. In 2015, the consumer price index showed very low inflation so Social Security gave no raise at all. The problem is the index is not tied to the needs of older Americans. Instead the COLA is set for Urban Wage Earners and Clerical Workers (CPI-W). Younger workers spend less of their income on medical costs, and spend more on transportation (gasoline), a category that have been reduced dramatically in costs in recent years. In short, the needs of older Americans are understated in the analysis of the COLA results. A better choice would be to include the elderly (CPI-E) to include greater emphasis on healthcare and housing. These are stronger needs for older fixed income Americans. In that way, for example, a senior would be paid a COLA of 0.6 percent in 2016 instead of zero, and 1.5 percent this year instead of 0.3 percent. Anything on the horizon to fix this discrepancy accorded to our senior citizens? There is a piece of legistration winding its way through Congress entitled the Social Security 2100 Act (H.R. 1902) that would lengthen the life of and improve Social Security for all Americans. Honing in on the index for the elderly, according to Johnson, the current average monthly benefit of about $75 would increase the income of retirees. The Senior Citizens League believes the SS reform bill would go a long way in ensuring the retirement security that older Americans have earned and deserve. One of the most important areas of retiring that my brother and I stress in our new book, Rollover, is “Planning”. However, research reveals that most pre and post retirees would rather rake leaves than make a plan on how they’re going to live out their remaining years. It’s so crucial that this blog article is steering you to a website that makes it much easier and more enjoyable to take on the planning cycle of your retirement than the myriad of calculators, charting, consensus analyst estimates, and, yes, boring books. Before you grab the rake, this site aptly named “New Retirement” is the answer. So much so, “NewRetirement” was named by Computerized Investing’s Best of the Web for retirement planning in 2017. I don’t always give plugs on competing products like a retirement website but this one offers a real match for the struggling boomer (1946-1964) or seasoned senior (born before 1946) who wants to put his or her retirement planning to bed and sleep better at the same time. 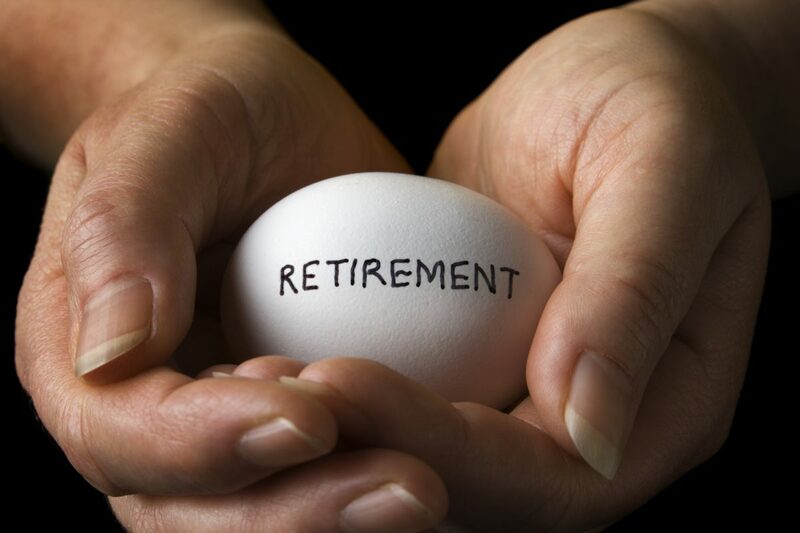 All in all, “NewRetirement” has a lot of information on retirement and offers outstanding calculators and tools. On top of that, its easy-to-understand presentation and helpful guidance make this one of the best retirement planning websites on the worldwide web. I might add that our book, Rollover, can bring you into a similar comfort zone about your retirement planning but offering you more extensive background information; it’s never boring. In fact, investing your time and money in both: NewRetirement—the retirement planning website and the Rollover book a complete picture of retirement planning with all facets will insure you have all your lifestyle bases covered. Remember when you never gave a care about getting sick, because you didn’t? These days you’re not so sure. We’ve heard from folks who didn’t bother to check health-care premiums until after they took early retirement and Obama Care came into their lives. They were stunned by the four-figure premiums they were asked to pay. At this writing, no lifeboat rescue from the present administration. But to update you: Increasingly, more employers are eliminating retiree health coverage, and you can’t get Medicare coverage until you’re 65. Even then, when you finally have it, there are plenty of costs the government program doesn’t cover. Fidelity Investments projects the average couple will need nearly $200,000 when retirement age begins just to pay for out-of-pocket medical costs for the rest of their lives. Long-term care costs can be particularly devastating. That’s a nice way of saying when you can’t eat, or put on your pants, someone is going to have to be there to do it for you and charge you a lot of money. How much money is required, and do you have to win the lotto to pay it? It would seem so, for most people. Seventy-five thousand dollars is the average yearly cost of living in a nursing home, whether you pay out of pocket, whether you have long-term care insurance, or whether you’re on welfare with Medicaid paying for your stay. With new projections on baby boomer health, more that 37 million of them—six out of 10-will be managing more than one chronic condition by 2030. Also by 2030, fourteen million boomers will be living with diabetes—that’s one out of every four boomers. Almost half of the boomers will live with arthritis which peaks to just over 26 million in 2020. More than one out of three boomers will be obese (21 million). This is just a capsule of what lies ahead when the over-65 population will triple between 1980 and 2030 as a result of the aging population adding new demands and challenges on an already stressed-out medical health system. If you plan to retire before you qualify for Medicare, make sure you Investigate your private health insurance options and have enough income to pay the premiums. If you don’t, you might want to delay retirement a few more years until you do. Underestimated and unexpected health-care expenses could consume a large portion of retirement savings. In closing, health care is your biggest risk in retirement besides taxes. Get ready to live healthy. I took a little RR trip a few weeks back to Siesta Key Beach near Sarasota, FL. If the beach is your thing, Siesta Key Beach is constantly rated one of the top ten of beaches in our country by Dr. Beach. Dr Beach (Dr. Stephen P. Leatherman) yearly reviews all the beaches and comes up with his top ones out of 650 beaches in the nation. He has developed 50 criteria to rate each beach. Dr Beach consistly rates the beach high I have my toes in now, Siesta Key Beach for it crystal clear water, excellent facilities and some of the world’s finest sand quartz masquerading as beach sand. When you take up the sand in your hands its texture is like fine talcum powder… it feels like something you would use to smooth out your wrinkles in the bathroom. Now, let’s make the transition from beach sand to your final years? Is your retirement adventure early in the beginning stages or are you in retirement now perking along? Did you know that most retirees within the first five years after they quite the 9 to 5 grind spend similar as they did during their working days? Vacationing at the beach is something enjoyable millions of Americans do. Bet you don’t know that a lot of the retirement resources of new retirees go to traveling—not only to the beach, but to destinations most retirees plan for like Europe, a cruise, visiting the grandkids states away— or just getting a go to destinations build on dreams. Seniors love to travel and will take an average four to five trips in a year according to AARP’s first ever 2015 travel survey, which found that the 50-and-older set are looking for relaxation, indulging in everything from extended family trips to romantic getaways. However, it appears that extra spending such as for travel in pre-retirement and actual retirement gradually decrease over time unless health-care costs cause it to rise again in life’s final years. Common sense tells us retirees’ increased spending occurs earlier in retirement. Its significance rises, however, because the most-quoted “safe withdrawal” research takes an approach that ignores this evidence. Instead, it consistently assumes that retirees increase their spending by inflation each and every year of retirement. To sustain such spending growth, they stipulate withdrawal rates of 4% (if not less). As a result, their prescriptions conclude that a secure retirement requires more savings and/or years of working more than actually necessary. They become assuming retirement spending is static. Instead, it is dynamic over one’s retirement–ebbing and flowing as “life” and “bucket lists” intersect–and in a steadily decreasing pattern. Whatever, spending and saving scenarios you subscribe to­­–keep the sand between your toes, modify your bucket list and enjoy while the sun is shining on your backside. Oh yes, don’t forget to save! Look, most of us suffer a little stress now and then. Whether it’s on the job with a jerk for a boss or at home with the kids bricking at one another. What we are talking about here is “chronic stress”. This is stress that degenerates your mood and impairs your thinking patterns. Did you know that if you experience frequent chronic stress, you could dissolve brain cells, harm your memory, and even make it riskier for Alzheimer’s disease? If that weren’t enough, researchers have found that high degrees of stress can increase a person’s risk for heart disease, high blood pressure and diabetes. • Laugh a lot and louder: Laughing carries both mental and physical benefits. Laughter boosts your disposition by releasing mood-enhancing endorphins in the brain. Not only that, your physical benefits from laughter by boosting more oxygen to heart, lungs and muscles. So do more laughing it up by finding humor in it all. • Give your mind meditation satisfaction: We have a lot of scientific evidence that different types of meditation can bust stress over the long haul. Meditation can protect your brain’s memory centers from shrinking caused by emotional pain and stress. Yes, I said shrink. • Keep Moving. How often do you have to hear it? Exercise is good for you. But research has showed you can downsize exercise and still receive the mood enhancement you are seeking. Just a brisk walk just 20 to 30 minutes a day can have significant stress lowering benefits. • Avoid multitasking: I know you think if you can handle a multitude of tasks all at once. But the facts show your brain does not go along with you on your multitasking skills. In fact, too much has been shown to increase stress. The brain operates more efficiently on taking on one task at a time. You may find that you can get more done with less mental effort and reduced stress. • Sweet dreams: Your ability to manage stress is enhanced if you are well rested. What does a good night’s sleep provide? Sufficient sleeping time sharpens mental focus, and elevates overall mood ands sense of well-being. The accepted number of hours for a restful sleep and a better tomorrow is 7 to 9 hours. • The cup is always half full: The facts are in. People who have a positive outlook on life suffer less with physical and emotional difficulties over negative-minded persons. If you are one of the glass is always half full folks you are going to manage stress better and less likely to become depressed emotionally. Not all stress is bad. If you have a tight assignment at work, stress can stimulate motivation. Handling stress and coping with it makes it easier to handle a similar situation in the future. Try this mind trick. The next time you are facing an overwhelming stressful situation, flip it over and make it a challenge that you will conquer and overcome. Joan Smith was suffering from an agonizing headache. Her husband, Frank, telephoned their primary care doctor. The doctor came to their housel less than one hour later. Shortly, Joan was on her way to the hospital. She received surgery to have a brain aneurysm removed. Without the quick diagnosis by the Smith’s physician, Joan would have died. The Smith’s were fortunate to have concierge medical services as part of their health planning. It was an important decision because Joan had a history of health issues and Frank preferred quick response from health providers. The future of healthcare could be in concierge medicine. Concierge medicine is a private form of practice where doctors charge patients an out-of-pocket retainer fee for full access to their services. Not only that, doctors are able to serve their patients with preventative care rather than the traditional “sick care” model. Concierge physicians’ care for fewer patients than those in a conventional practice, ranging from 50 patients per doctor to 1,000, compared to 3,000 to 4,000 patients that the average traditional physician now sees every year. The makes it easier for the physician to give more quality time to his/her patients and faster response to treat critical care needs plus work with them on things like hypertension and diabetes wellness plans. The retainer fee that physicians charge their patients for these services range from around $1650 to $1800 yearly. The number of concierge doctors practicing these services across the country range from 800 to 5000. Concierge services appeals to patients and physicians alike. Physicians have a steady stream of income giving them more time to devote to patients reducing heavy patients workloads. The patients appreciate the personal attention they receive from the health provider and a faster response to appointments—even receiving house calls.